The pace of growth witnessed by the third-party logistics (3PL) sector has accentuated the need for best-in-class solutions to ensure timely delivery of goods. The C-suite is gravitating toward adopting modern technologies, such as AI, IoT, and predictive analytics to drive better performance across the supply chain lifecycle. 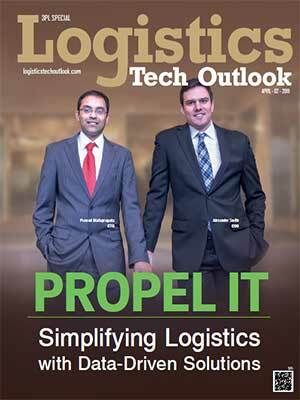 In the rapidly evolving 3PL industry, customizable, cloud-based platforms are becoming crucial. Cloud-based solutions have the capacity to increase responsiveness to e-commerce and also optimize existing processes. They also have the added benefits of being accessible from any location or area with the internet connectivity, thus eliminating much of the headaches associated with upgrades and perpetual IT needs. Driven by these factors, latest 3PL technology solution providers are increasingly developing cloud-native applications that also leverage AI and machine learning to reduce manual intervention and minimize the scope for human error, while increasing efficiency. In order to simplify the task for C-suite executives, a distinguished panel comprising CIOs, CEOs, CTOs, analysts and Logistics Tech Outlook’s editorial board, has reviewed numerous 3PL solution providers and selected the outstanding ones. The companies have been chosen for their ability to provide innovative and customized solutions that effectively meet client requirements.